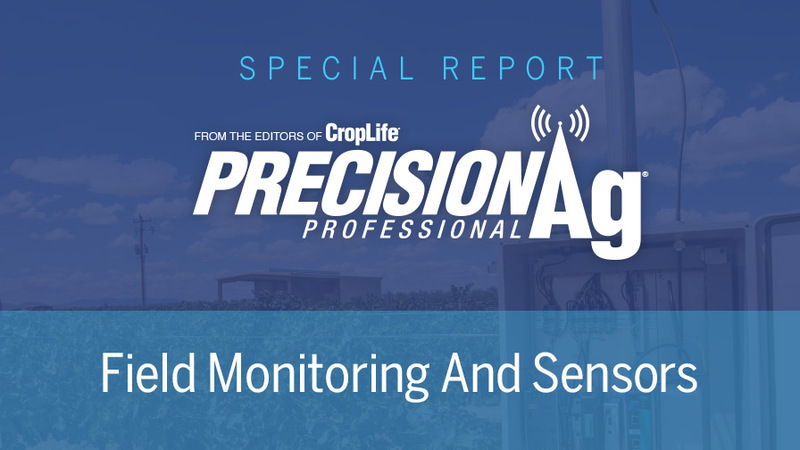 For agriculture service providers, evolving sensor technology is viewed with a sense of endless possibilities, mixed with a bit of trepidation. Sensors can seemingly do about anything on the farm. Measure soil characteristics with electrical current? Check. Monitor soil moisture and irrigation activity? Check. Track rainfall, wind, and other weather conditions? Check. Transmit data points 24/7 to a central database for deep analysis? Check. Report on planting, application, and harvesting efficiency? Check. Ride on a drone or a satellite and provide in-season feedback on crop and farm conditions? Check. Become one of the farmer’s trusted advisers? Uh, not so fast. Sensor capabilities are robust and growing, but not likely to replace “boots on the ground,” at least for the foreseeable future. The better bet is that sensors will allow agronomists and consultants to help farmers make better decisions, and invite contributions from equipment and seed dealers who provide vital advice and services to the farmer. Good article. You rightly underline the indispensable role of the human advisor as ultimate prescriber (I’m not one of them), a key point many tend to misunderstand today. I’d appreciate your view on the operability of ground-based vs aerial sensors. My experience tells me that large farms will struggle operating multiple sensors dispersed in the field and exposed to nature, mechanical equipment, animal and human contact. Besides installation and calibration, due to such uncontrolled contact, much of the maintenance consists in keeping the sensors communicating with each other or with a central unit. Aerial sensors (I believe drones will make for most) on the other hand seem immune to all the above. An interesting analysis may look at a matrix that optimizes the right dose of ground and aerial sensors based on three farm sizes (i.e. 160). Thank you.